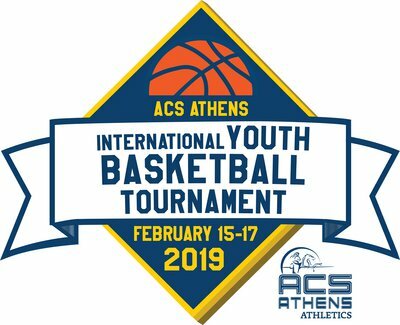 The ACS Athens International Youth Basketball Tournament is back in 2019! The seventh edition of the ACS Athens International Youth Basketball Tournament is returning in a few days. On the 15th, 16th and 17th of February, the tournament is going to be hosted by ACS Athens. A total of 8 teams, three of which are coming from abroad, are going to be competing against each other over the course of three days. Four teams are going to participate in the boys’ tournament and the other four teams in the girls’ tournament. The tournament will be live-streamed, so everybody who is not able to physically join the event, can still enjoy all of the games. Furthermore, scores will be updated on our website during the competition, so that there is a constant and clear overview of the results and fixtures of the tournament. We would like to invite everyone to come, watch and support our students in action. Be there. For them. It is with great pleasure that I welcome you to the Seventh Annual ACS Athens International Youth Basketball Tournament! This event was organized seven years ago for the first time and was dedicated to the memory of Hasib Sabbagh and Diana Tamari Sabbagh with the vision of bringing together young student athletes from around the world to compete, but most importantly to enjoy the wonderful sport of basketball. This has now become an event our ACS Athens basketball teams and visiting teams look forward to each year. At this year’s tournament we will have more than one hundred boys and girls from Italy, Slovenia, Serbia and Greece. They will have the opportunity to exhibit their skills at the highest level for three days. At the end of the tournament, all the teams will be winners: students/athletes, coaches, parents and spectators. It has been proven for one more time that the spirit of basketball and good sportsmanship brings together young people from different backgrounds, nationalities, religions and national origins. I am proud to lead an institution such as ACS Athens, which is devoted to providing its students with a holistic, harmonious and meaningful educational experience. Through our Athletics Program our young athletes learn to compete with respect, character and ethos, which are the essential elements for developing tomorrow’s global citizens. I wish all of you a great experience in this athletic initiative. Enjoy the beautiful city of Athens and its great hospitality. I look forward to your great performance on the court, guided by “Fair Play” as introduced by the ancient Greeks (Εύ αγωνίζεσθαι). Once again, ACS Athens is proud to host the International Youth Basketball tournament, in memory of Diana W. Tamari & Hasib J. Sabbagh, which is now a tradition within our school community; not only because it provides excellent competition for young basketball players, but because it represents the true values of SPORT! Young athletes from different cultures come together to compete showing exemplary determination, sportsmanship and effort. SPORT unites and, through this event, we have clearly seen the gains and benefits that are not limited to the court: the international exposure, the development of institutional collaborations, the opportunities for friendships among athletes and coaches, and, last but not least, your exposure to a different city and culture. I urge everyone involved to make the best possible memories for themselves and for all those involved. Keep in mind that basketball is just a game… take advantage of all the other lessons and experiences that are out there! Enjoy your tournament - enjoy our city!